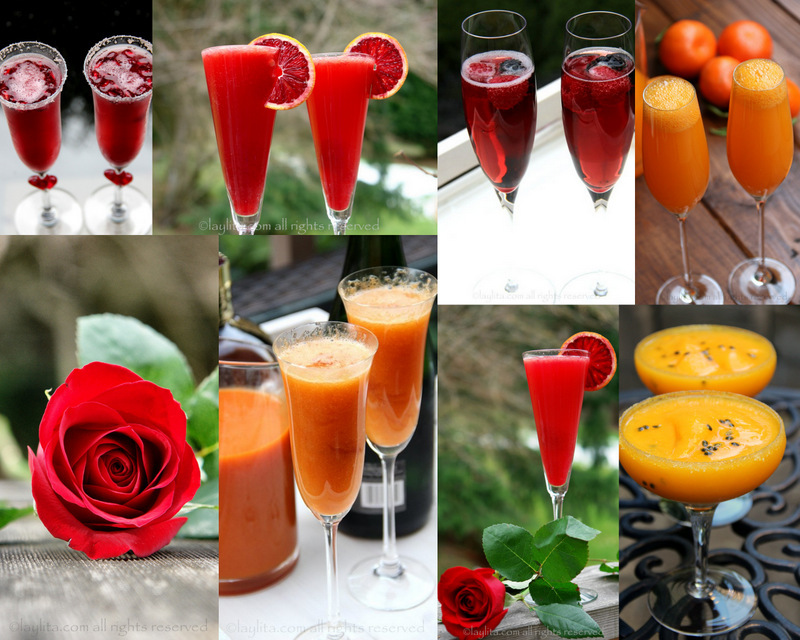 Looking for romantic and tasty cocktails for Valentine’s Day? 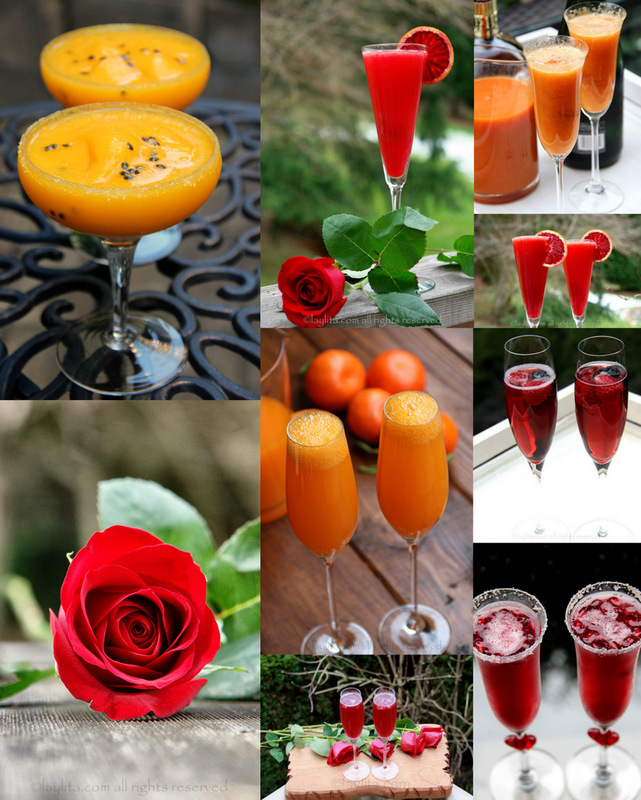 These are some of my favorite Valentine’s Day cocktails for this occasion. These cocktails are perfect for those planning to prepare a homemade meal for your loved one, and nothing says I love you more than a delicious home cooked meal. There’s no better way to start the evening thanwith one of these deliciously romantic cocktail. These drinks are full of color and flavor, plus they’re very easy to make and can be prepped ahead of time. And what if you’re single? No worries, in Ecuador, we celebrate both love and friendship on this day. Regardless of if we have a significant other in our lives, we always made it a point to spend some time with our friends. Then those who a special date would have their celebration, while the single girls (or guys) celebrated friendship. So, go ahead and have a girls or guys night with your single friends. For the ladies, I recommend a cocktail, appetizers and dessert party with tasty drinks and lots of chocolate. Or have a Valentine’s Day inspired brunch, for the both the couples and singles, with a similar theme, to celebrate both Love and Friendship. 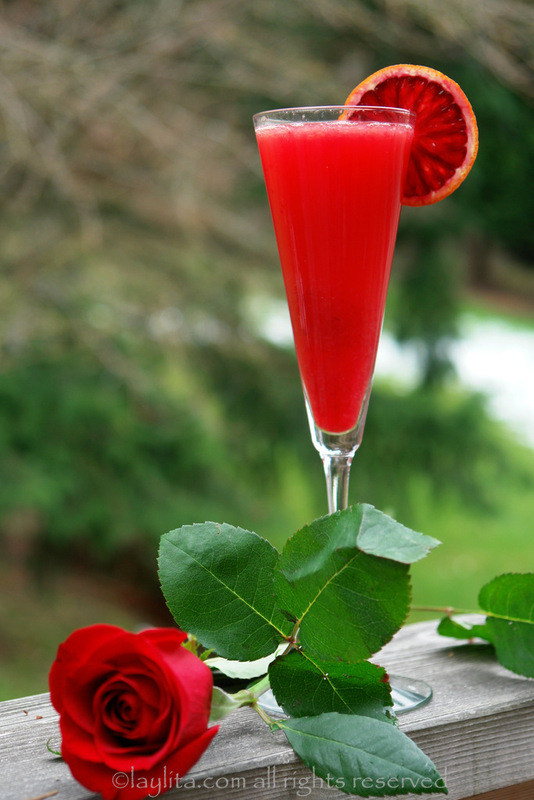 Bubbly blood orange Campari cocktail – The inspiration for this bright red bubbly cocktail was a perfect red rose. 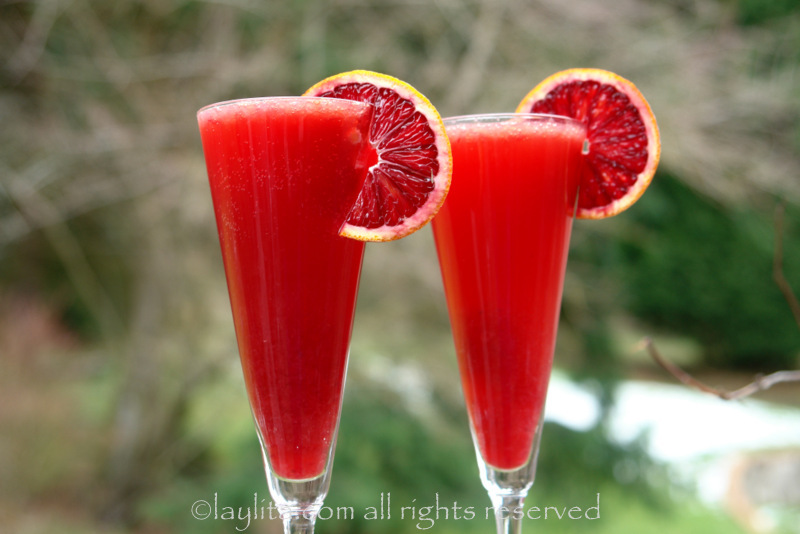 This blood orange Campari cocktail recipe is made with fresh blood orange juice, Campari, and champagne or sparkling wine. 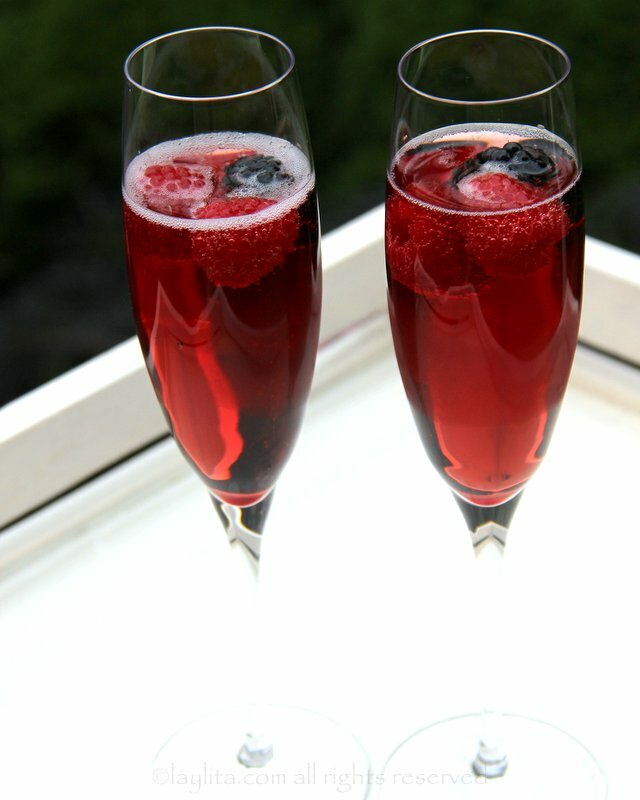 Kir Royal – This drink is one of the easiest champagne cocktails to make and requires little to no prep time. A kir royal, also called kir royale, is a classic french sparkling cocktail or aperitif made with champagne and blackcurrant liqueur. 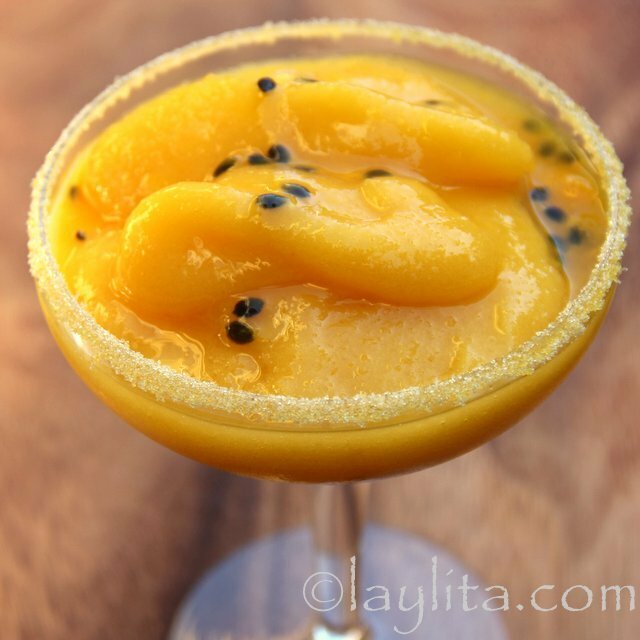 Mango passion fruit margarita – Mango passion fruit margarita recipe made with fresh mango slices, passion fruit juice, lime, sugar, tequila, orange liqueur, and ice. Anything with passion fruit is perfect for Valentine’s Day! 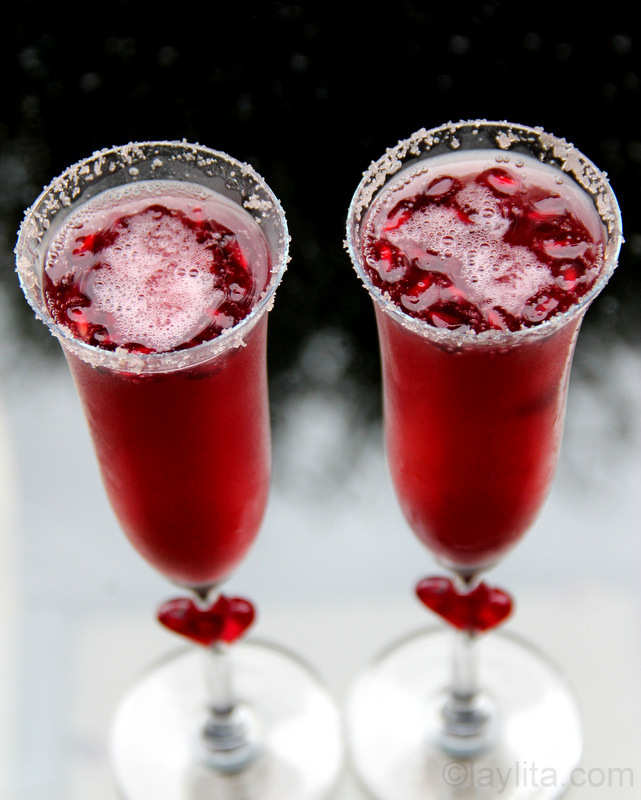 Sparkling pomegranate cocktail – Looking for a bubbly cocktail that’s on the stronger side? Try this sparkling pomegranate cocktail made with pomegranate sorbet or granita, tequila, and champagne or sparkling wine. 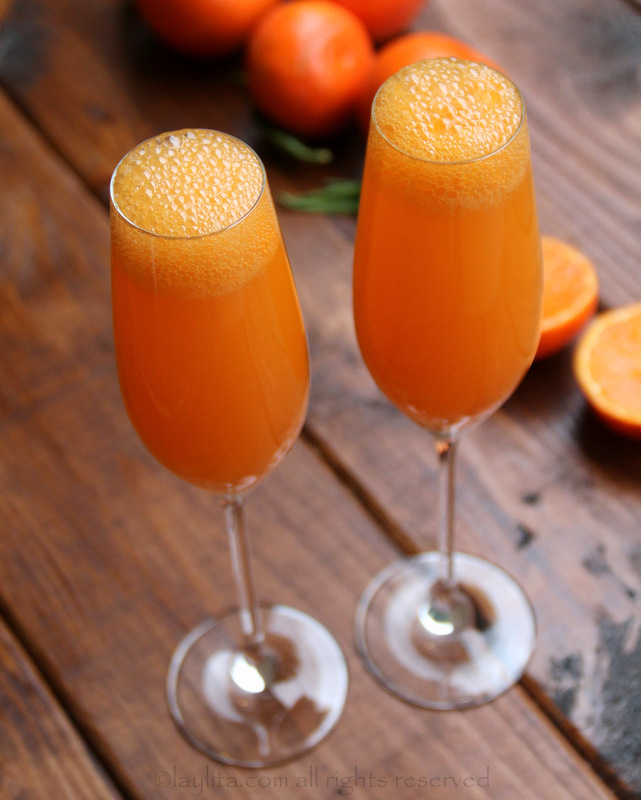 Mandarin or tangerine mimosa – Another easy to make sparkling cocktail, this bubbly mandarin cocktail is made with fresh mandarin juice, champagne or sparkling wine, and orange liqueur. 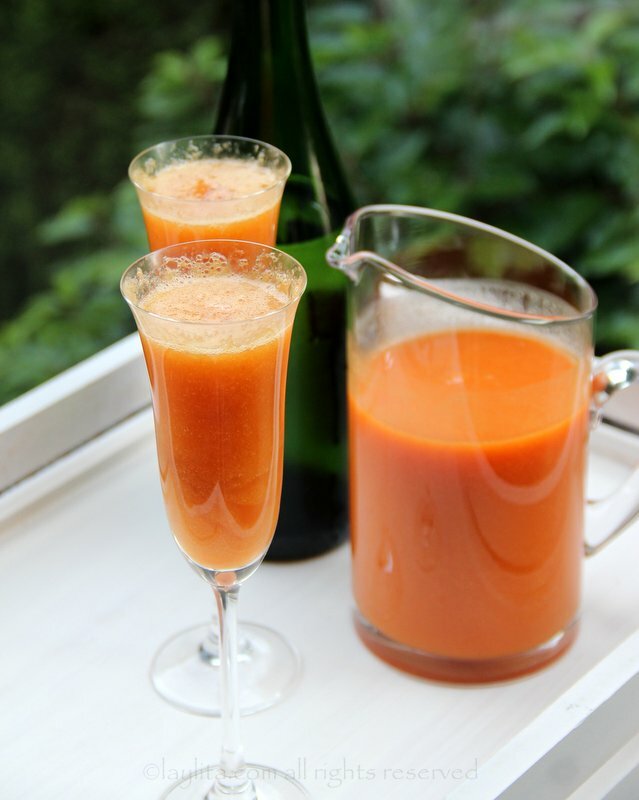 Peach Bellini cocktail –Try this easy recipe for the peach Bellini cocktail, made with fresh (or frozen) peach puree, prosecco or sparkling wine, and a dash of raspberry liqueur. Canelazo or naranjillazo – If you’re looking for a hot drink to warm up this Valentine’s Day, try this Ecuadorian spiced cinnamon (or the fruity naranjilla version) drink called canelazo. 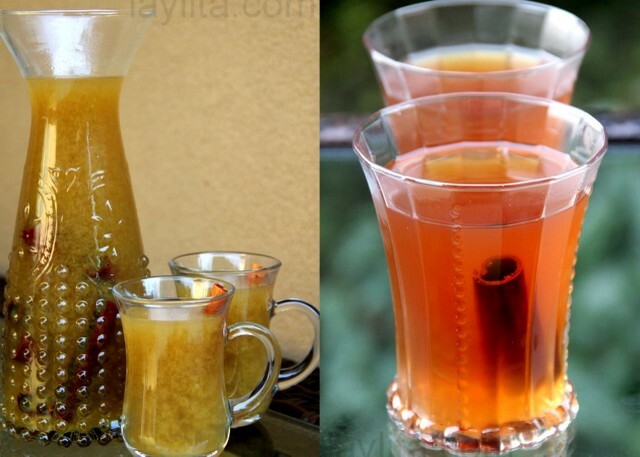 Canelazo is warm spiced cinnamon cocktail made with cinnamon, water, sugar and aguardiente. Naranjillazo is a version of canelazo made with naranjilla fruit juice. Muy ricos los cocteles, te felicito me encanta tu blog.